Step back in time with the RSP Ensemble for some roaring 20s style fun! 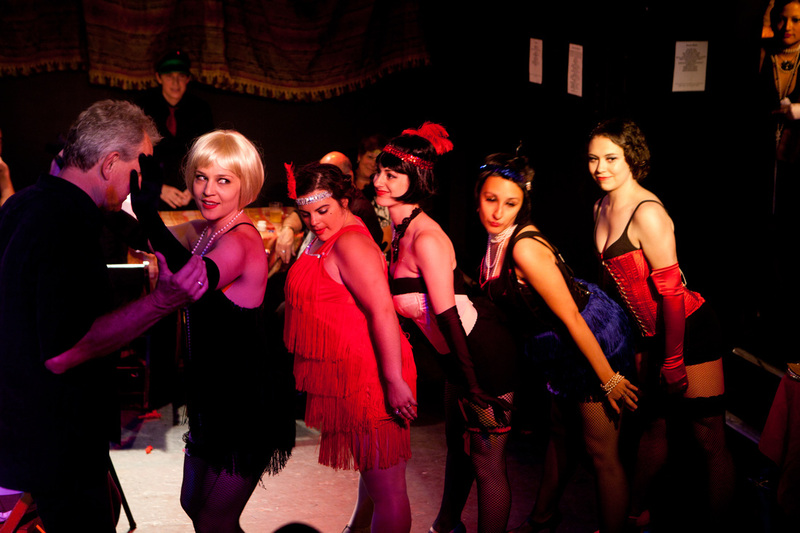 Enter the world of Charlie's speak-easy & casino, where booze flows freely, card players are fast, the girls are floozy, and the Jazz is Red Hot..
Set in an immersive environment, audience members can dance, mingle and play with the sordid characters of the 1920s underworld. There will be beer, wine & Bubbly and non-alcoholic drinks (for those of you into temperance). Games, prizes, dancing girls, Light snacks and live entertainment are also on tap. Dress to impress. 1920s style is highly encouraged. The Door password is "Jeepers Creepers"